I read a lot of books. Most of my reading is not “fun” reading (as my wife would describe). 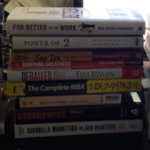 I generally read books on the topic of self improvement, motivation, finance, business, software development, etc. I really enjoy learning and improving myself. Below are my Top 10 favorite books that span many of those topics. There are a ton of great books out there, but the below are my recommendations if you are starting out your bookshelf. I typically reread each of these books every few years and almost always pick up new ideas or remember ones I have forgotten. What it is About: Robert Kiyosaki describes his “2 Dads.” His “poor dad” is his biological father who is educated but is in the “Rat Race” and acquires liabilities. His “rich dad” is his friend’s father who uses his financial literacy to acquire assets. 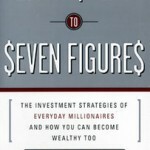 Throughout the book, Kiyosaki describes the different mindset of his 2 fathers. Why I Recommend It: I grew up in a lower middle class home. My parents did not go to college and both of them worked. I learned some basic financial lessons from them, but realized that I needed to do things differently in my life to achieve my goals. This book changed the way that I think about assets vs. liabilities and is the basis for financial decisions that I make in my life. What it is About: Dale Carnegie discusses how to get along with people. Regardless of your occupation, goals or ambitions, everyone needs to build relationships. This book describes how to build relationships, care about others, provide feedback and motivate them. Why I Recommend It: As with most of the books on this list, this a classic. It changed my life when I read it and I go back and re-read it every few years. The way I approach personal and work relationships has vastly improved after reading this book and I am a much happier person. What it is About: Jim Collins and his team spent years studying companies. They looked at similar companies and compared/contrasted ones that were merely “Good” and one that make the leap to “Great.” Through this analysis he describes the key characteristics of great companies. Why I Recommend It: I believe that good is the enemy of great. When things are bad, people know a change is needed. But when things are good, people have less motivation to become great. The research in this book provides solid concepts (backed by lots of data) into key characteristics/actions that truly great companies employ. Whether you work as part of a company or own you own businesses, the recommendation in this book will benefit you. What it is About: Some people fall apart when under pressure, and some excel in these circumstances. Through interviews with 60+ executives who excel under pressure, Justin identifies 3 key traits that these leaders successful: realistic optimism, subservience to purpose and finding order in chaos. Why I Recommend It: We all face challenges and stress in our life. By understanding and employing these traits, you can learn how to not only be able to deal with these situations, but be able to excel in them. Whether for personal or professional reasons, being able to succeed when the pressure is on is very beneficial. What it is About: Time management is something that it seems like everyone wants to get better at. 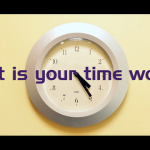 David offers a time management process that focuses on organizing all the “stuff” in your life so that you get it out of your head and work through your tasks in an organized manner. Why I Recommend It: Being more effective/efficient with your time is a very desirable skill to have. I have used several systems and this is the best one that I have found. One of the benefits is that it is a system (theory) and there are many ways to implement it, so you will be able to find one that works for your specific situation. After implementing this system for several years, I have reduced my stress significantly and and improved my efficiency. This allows me to spend more time doing what I want. What it is About: Napolean describes the mindset of many successful people and provides a case for the power of positive thinking. There have been many books published on this topic (ex. The Secret), but the is the original and my favorite. Why I Recommend It: Many people are afraid of failure. Many are also afraid of success and don’t understand how to achieve their goals. This book will aid you in becoming successful. What it is About: Many people reach a certain level of success in their life/career and then stall out. They seem to lack something required to “get to the next level.” Often times, the issue is not realizing that you may need to do some things different to be successful at the next level, compared to what made you (or you think made you) successful at the last level. Why I Recommend It: Understanding concepts like causation (this action leads to this outcome) and knowing that each level of success requires different actions will allow you to progress towards your goals with more speed and discipline than most. What it is About: Gerber discusses why most small businesses fail and provides valuable insights into how small businesses can be successful. Why I Recommend It: I had always heard that most small business fail within the first year. This initially scared me away from starting a small business, but after reading this book I gained a much better understanding of the real reasons why most small businesses fail. I use this as the basis for running my multiple small businesses. What it is About: Watkins identifies 4 types of transitions when you get into a new role: Start-up, Turnaround, Realignment and Sustaining Success. He spends the book looking at each of these transitions and guides the reader on how to make the first 90 days successful for each type. Why I Recommend It: We all face new roles, either in our personal or professional lives. Understanding how to address the current situation and adjusting your approach based on this will start you off on the right foot for your new role. What it is About: Lean concepts started out in the manufacturing industry but are relevant in most areas of business. Tom & Mary walk through each aspect of lean and describe how it can be applied to software development. Why I Recommend It: For years, software development has been plagued with waste. Mary & Tom provide a very detailed explanation of how lean concepts can make software development much more efficient and effective. Even if you don’t develop software you interact with it every day. Seeing how lean concepts can be adapted to work with software will also allow you to see how they can be adapted and applied to other areas of your life. BONUS: I had such a hard time narrowing down the list to only 10 books, so here is an extra! What it is About: Frank walks through 37 financial formulas that apply to real estate investing. He provides the formula, background and examples of each to make it very easy to understand, even if you failed accounting. Why I Recommend It: The basis for any investment is a financial analysis. I see too many real estate investors not understand how to properly analyze properties and get into trouble. 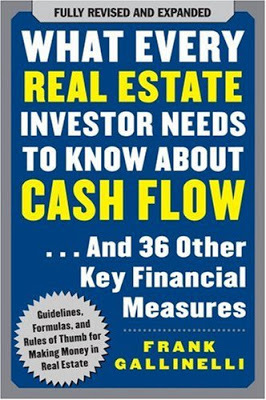 This book will be the best investment anyone can make for their real estate investing business. And for those who don’t invest in real estate, many of the financial calculations will still apply to your business (ex. calculating payback period of an investment). 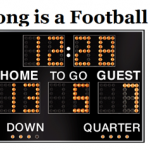 How Long is a Football Game? Tom Sylvester is an Entrepreneur, Real Estate Investor and Lean/Agile Coach. He has started multiple businesses and is passionate about helping others achieve their goals, both personally and professionally. He lives in Rochester, NY with his wife and daughter. Follow him on Twitter or connect with him on LinkedIn. Nice list and reviews man, I’ve got to get reading! Thanks Kip. I’m guessing you read at least one of them, “Good to Great”, based on your quote today.